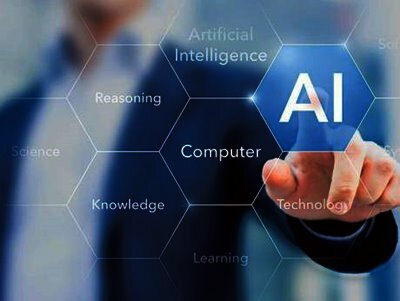 Artificial intelligence will create more jobs globally rather than eliminating jobs in 2020, with white-collar service workers in certain companies taking the biggest hit, an industry expert said. Peter Sondergaard, executive vice-president and global head of research at Gartner, on the sidelines of the Gartner Symposium/IT Expo 2018, that firms such as legal, insurance and banking are likely to be impacted. Gartner, Inc. is an American research and advisory firm providing information technology-related insight for IT and other business leaders located across the world. Its headquarters are in Stamford, Connecticut, United States. According to Sondergaard, there is risk involved with AI and the first risk is the elimination of jobs; the second one is biases of software code, and the third risk is the bias of the data. Software code is developed by the mindset of the people of the developers. After 2020, he said that young people are likely going to a job category that does not exist today, using skills we don’t know we need and trying to do something in a business that does not exist today. “AI is here to help us and create new opportunities and capabilities. A person plus a machine is smarter either by themselves. AI will continue to learn and improve human decisions with lots of data. Data is the new fuel,” Sondergaard said. He said most people are still in the dark about how to approach AI.“AI is hyped and we don’t know yet what AI will do and the full impact it will have on society and individual businesses. A major part of AI will be relatively simple but bot-based implementations over the next couple of years but there is a lot of scopes for companies to exploit AI,” Sondergaard said. He added that AI will not probably take off in a big way until 2030. What AI is affecting today is the user experience, processes and analytics in banks, insurance companies and cybersecurity companies. There is a shortage of talent for skilled workers such as data engineer or scientist, but he said the region is capable of importing talent. He said there are three barriers to digital transformation in existing companies: culture, resources and talent. “Culture is one of the slowest things to change. It is hard to change the way people think, so you need to change what the people do instead. Once they do things differently, it shifts the way they think. This shows that digital transformation is the first and foremost a business transformation. People, not technology, is the most important piece in the digital transformation puzzle,” he said.